Stemko range of Nation products is suitable for most applications where security and steel doorsets are required, in addition to fire-resistant steel doors, or acoustic sound protection doors. 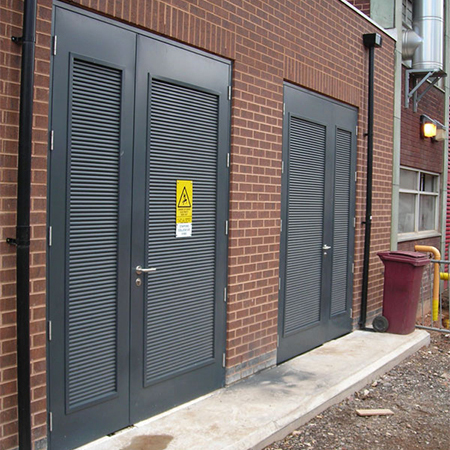 The Nationplus range of steel doorsets covers a complete range of applications, from standard fire exit and personnel doors, where security is an issue, through to the Nationplus attack-tested door. This is tested according to European standards DD ENV 1627:1999 and DD ENV 1630:1999, where maximum security is required. The Nationplus Fire is a fire-resistant, steel door, which is suitable for all fire break applications. It is tested from 60 to 240 mins fire resistance, according to BS 476-20:1987 and BS 476-22:1987, and BRE Assessment CC 20 1644.